*Click listen live link at the time of the broadcast Tuesday at 1pm. Tune to AM 1160 WVNJ The Voice Tuesday's at 1pm and listen to the Disaster Recovery Hour. To listen to past shows click here. Ty Urus owner of iMaterials in Closter NJ , will discuss cash recovery from damaged materials after a disaster which has destroyed your property. iMaterials™, located in Closter, NJ, pays the best prices for scrap metal in the New York, Pennsylvania, and Southern Connecticut area. iMaterials deploys this purchase strategy in order to fulfill its large export contracts. This creates an excellent selling opportunity for general contractors, plumbers, electricians, restoration companies and many other companies that rely on their scrap metal discharge for cash flow or as a profit center. Dave Fenyohazi, President of Fabric Renewal discusses how to deal with fabric restoration after a flood, fire or mold has damaged your property. 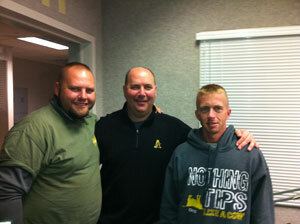 This week's show Chris talks with Dan O'Brien Captain of a NJ volunteer Fire Department and power generator expert. This week's show will focused on the rash of break-ins and how you can better prepare your self and protect your family and your possessions. We also discuss some of the economic and sociological causes that could be fueling this outbreak. Tuesday April 24th, 2012 DRHRadio Welcomes Andy Weitzberg President of the Long Island Chapter of the Association of Contingency Planners. Chris and Andy discussing the upcoming ACP Long Island Chapter event on May 11th. Read all about it. Steve Elliot is a business resiliency expert who has actively managed internal business continuity programs and consulted with a diverse range of public and private sector organizations. Mr. Elliot is a specialist on business continuity management, contingency planning, emergency response, pandemic preparedness, and disaster recovery programs for both technology needs and restoration of business operations. He is also an expert in advising organizations regarding overall plan development, risk assessment, business impact analysis, mitigation strategies, simulation exercises, staff training and program maintenance. Mr. Elliot is a featured presenter at numerous seminars and conferences, and recognized as an authority on auditing, developing and implementing customized all-hazards business continuity and incident response plans, and effective enterprise and technology disaster recovery solutions. Steve Elliot founded Elliot Consulting in 2003 after a successful career in a number of Fortune 200 companies as a global account manager, corporate trainer, and consulting professional with additional proficiency in operational resiliency, project management, business development, sales and marketing. A Certified Business Resiliency Manager (CBRM), Mr. Elliot is also FEMA-certified in various Emergency Management, Incident Command, and National Incident Management System programs. He is a member of the National Fire Prevention Association (NFPA) 1600 Technical Standards Committee. Steve Elliot is the President of the Greater Tampa Bay Chapter of the Association of Contingency Planners (ACP), and the Corporate Director of Membership and Programs for ACP’s Corporate Board of Directors. A member of the Tampa Bay region’s Local Emergency Planning Committee’s Facilities Disaster Planning Team as well as the Risk Management Committee for the Greater Tampa YMCA, Mr. Elliot also co-authored the 2008 and 2012 versions of Florida Business Disaster Survival Kit (http://www.fldisasterkit.org/). Bonnie Canal is a nationally recognized leader in community resilience innovations and strategies, and is the founder and Managing Partner of The Resiliency Institute, LLC (TRI). TRI is a full service consulting firm focused on comprehensive community preparedness and resiliency by engaging the entire community’s political, civic, business, and other key leadership personnel. Bonnie understands that communities are the foundation of profitable commercial enterprises, and a strong and resilient nation. The TRI is thus dedicated to establishing resiliency as the foundation for community and economic development prosperity and effectiveness. Bonnie continues her resiliency consulting for communities, businesses and non-profits while traveling the US engaging in the conversation at the community level. She is a proud native of New Orleans and has worked in the field of Community Resiliency for 5 years. She currently serves at the Chapter President for the Southeast Chapter of the Association of Contingency Planners, Corporate Board Member for the Association of Contingency Planners and is the project manager for the Greater New Orleans Resiliency Project. Points of Light Institute and Hands On Network: Topic: Business continuity for your non-profit in times of disaster. March 27th, 2012 DRHRadio Live from DRJ's Spring World 2012 DR BC Conference. Interviews from the movers and shakers in the world of disaster recovery industry. Tune in for some great information. Guests: Bob Arnold, CEO Disaster Recovery Journal, George Sambataro President/ Chief Meteorologist of PC Weather Products, Mike Gifford President and CEO of ACP International, and Kelly Baig of SunGard Availability Services. 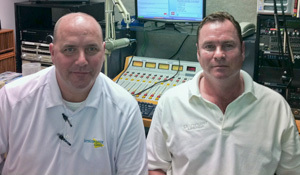 Tuesday March 20th, 2012 Disaster Recovery Guests: Bill Fearon the President and CEO of NO GAMES GEAR. 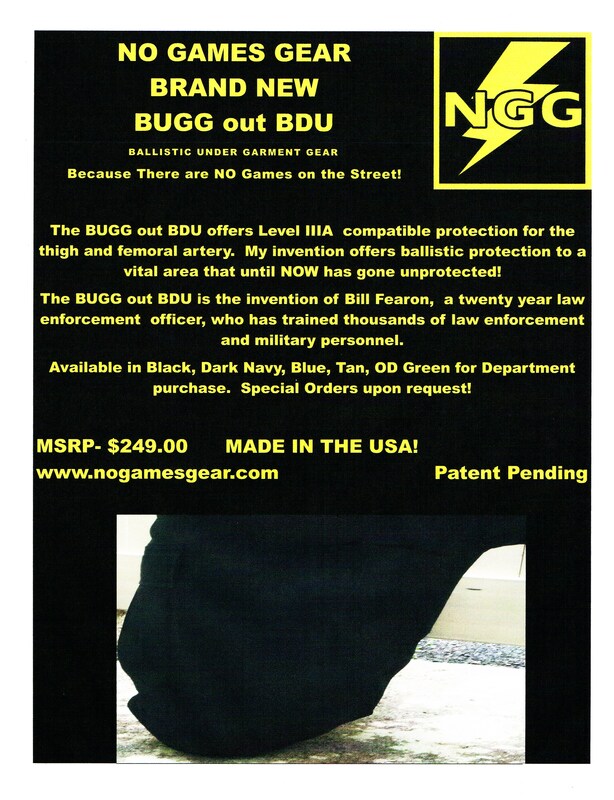 These products greatly enhance officer safety by providing ballistic protection to the femoral artery and upper thigh region. 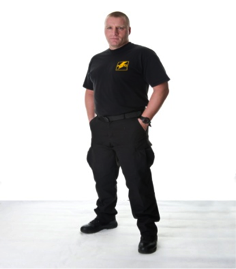 Bill is a 20+ year law enforcement professional that has trained thousands of law enforcement, military and civilian personnel. He has developed, implemented and forwarded various training courses for the New Jersey State Police for the past several years. Courses that he has developed and thathe currently instructs include Firearms, Driving, Self Defense, Tactical, Low Light, and Scenario Based Force on Force Training. Bill has developed and implemented security action plans currently used by MetLife Stadium. Bill has worked with and also trained all levels of law enforcement, local, county and federal officers. Global Safety First, LLC (GSF) is a US company founded for the purpose of marketing unique safety products to protect or assist people in emergency situations whether caused by accident, terrorism or natural disaster. 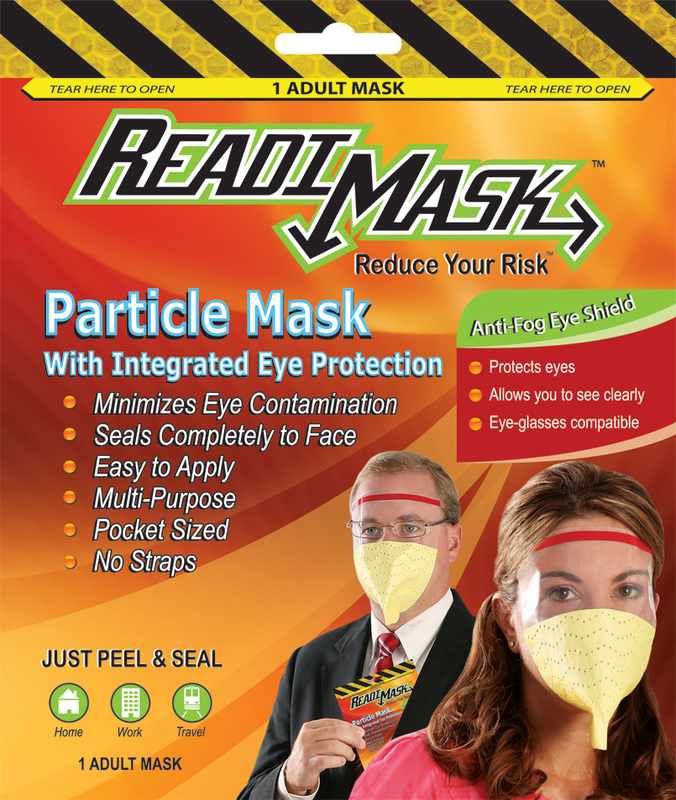 The company’s first product is the Readi Mask. The Readi Mask is the only mask specifically designed to provide protection to individuals who might find themselves in an emergency situation where airborne contaminants could be harmful if not fatal. Randall Till has over 20 years experience creating and implementing business continuity practices for organizations. His expertise spans education, management, and application of business continuity practices following a comprehensive approach to protect company assets and build resilient services. 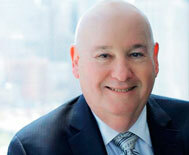 Mr. Till serves as a member of the Executive Council for the Disaster Recovery Journal. He is recognized as an industry expert and is a regular speaker at industry events, trade shows and webinars. Mr. Till has taught business continuity classes sharing his knowledge of best practices and advanced planning concepts. He is the founder and principle consultant for Till Continuity Group, a business continuity management company. Navy Bureau of Medicine and Surgery, M 3\5 Emergency Preparedness - Emergency Manager – Provided Emergency Management (EM) Subject Matter Expertise (SME) and technical guidance for the development and implementation of the Force Health Protection Emergency Management Program. Developed the Emergency Preparedness Division’s Force Health Protection Emergency Management Strategic Plan and Business Processes, Information, and Knowledge Management Transitional Plan of Action and Milestones (POAM) to identify, document, and transition processes, information, and knowledge management to the OMB MAX Open Collaborative Environment. Tuesday March 6th, 2012 DRHRadio Welcomes: Melisa “Lisa” Baize, CRM, CBCP, CDIA+ and Gerry Giesinger from Service Master. 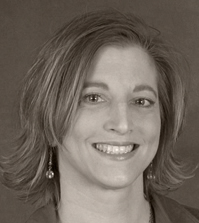 Melisa “Lisa” Baize has worked in records/information management and business continuity planning for over 20 years. Owner/Consultant of Clark-Baize Consulting, LLC, Lisa has been a Certified Records Manager and a Certified Document Imaging Architech since the mid 90’s. In 2011, she received her certification as a Certified Business Continuity Professional through the Disaster Recovery Institute. Lisa is currently the president for the Association of Contingency Planners’ Kentuckiana Chapter. Aside from her experience in records management and business continuity planning, Lisa has several years of experience in facility management, space planning and office administration. Lisa will be reporting from one of the Tornado affected zones. Gerry Giesinger from Service Master corporate headquarters in Memphis, TN will be discussing working in a tornado affected zone. Michael Gifford, CBCP, MBCI, is an Assistant Vice President and Senior Manager for the Capital Group Companies Global’s (CGCG) Information Technology Group (ITG) where he is responsible for the Global Disaster Recovery Program and Access Administration. His responsibilities include crisis management, emergency response and recovery, risk assessments, recovery strategy development, recovery plans, and business continuity/disaster recovery exercises, access administration and periodic access reviews. Prior to joining CGCG in March 2005, Michael was the Director of Audit Assurance and Regulatory Programs for JPMorganChase's Global Technology Infrastructure team. He was the Director of Disaster Recovery for Bank One’s Infrastructure and Operations (I&O) team within Technology and Operations prior the merger of Bank One with JPMC in 2004. Michael also worked for State Farm Insurance for 21 years in a variety of leadership positions. He is the former component manager for State Farm's business continuity planning team, which is responsible for developing and maintaining the recovery strategy, business continuity and disaster recovery plans, and test exercises for State Farm's mission critical business units. His background also includes two years as manager of State Farm's Systems Catastrophe Services team, which supports the technology used at temporary claims offices following a major natural disaster. Michael completed his Bachelor of Science in Business Administration from the University of South Dakota’s School of Business. He is a Chartered Property and Casualty Underwriter (CPCU), Certified Business Continuity Planner (CBCP) and Member Business Continuity Institute (MBCI). He currently is the Chairman / CEO for the Association of Contingency Planners (ACP) and he was the founding President of ACP’s Alamo Chapter. Michael also serves on the Board of Directors for the Bexar County Arts & Cultural Fund in San Antonio, Texas. Raquel is with the Office of Emergency Management for Nassau County. Raquel manages their sheltering plan, community outreach, education, and special event planning. Follow OEM on Facebook and Twitter to Receive Alerts and Safety Tips! Currently Director of Animal Health Services and Education for Noah’s Wish whose singular mission is saving animals in disasters. Jo Ellen oversees and coordinates Shelter and Veterinary care during disasters and organizes the Noah’s Wish Training Program on the national level from pet owners to Emergency Managers. 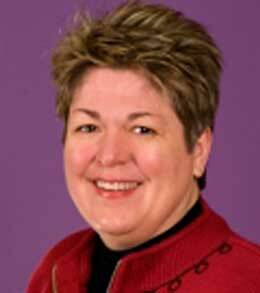 In 1986 Jo Ellen graduated from SUNY Delhi with a degree in Applied Animal Science, and is a Past President of the NYS Assoc of Veterinary Technicians. Jo Ellen has worked for over 20 years in Small Animal Veterinary Medicine in Brewster NY as a Licensed Veterinary Technician, the veterinary practice also specialized in exotics, small pet stock, birds and wildlife. When not working full time for Noah’s Wish Jo Ellen also works part time on call for the New England Equine Practice as an anesthesia tech. Twice annually she teaches for Mercy College in Dobbs Ferry teaching Veterinary Radiology to Pre Vet and Veterinary Technology Students. Disaster experience: 9/11 treating search and rescue dogs at ground zero, Hurricanes Ivan, Gustov, Katrina and Irene, San Diego Wildfires, Catskill NY and North Dakota Floods, Georgia and Arkansas Tornadoes plus logistical support for the Haiti, and Japan Earthquake efforts. Shelley Lee Johnson we will discuss the CERT program. Shelley is a Team Leader and member of the Planning Exercises & Evaluations Team for Suffolk County NY-CERT (Community Emergency Response Team). She is certified by Noah’s Wish in Animal Shelter Operations with L.I. Pet Safe Coalition. Sharon Pisko Wolfe, CPA, is a co-founder of RWH Myers and currently is the partner-in-charge of the firm's Connecticut office, specializing in complex business interruption and extra-expense loss calculations for large multinational corporate policyholders. Abraham Levinson serves as the Program Coordinator for the undergraduate Emergency services Administration programs at Adelphi University. Chief Phillip Solimeo the designate from the FDNY Foundation and is the Battalion Chief for the 2nd Battalion from downtown New York (Houston St). Shelley Lee Johnson is the Public Relations Director for the Association of Contingency Planners, NYC Metro Chapter, and brings to the table over 20 years of private sector experience in the grocery, bulk petroleum and insurance industries focused on warehousing, distribution, marketing and sales. In the public sector Shelley has been an employee of FEMA’s Disaster Workforce Division since deploying to Louisiana during Hurricane Katrina in 2005. She has extensive “boots on the ground” field experience with a solid understanding of Incident Command System (ICS), mitigation, public assistance, individual assistance, governmental relations and the needs of victims after disaster. Shelley’s knowledge includes topics in all phases of the Planning-P and disaster life cycle. Shelley is available for assignments as Plan4Later Consulting when not deployed by FEMA. 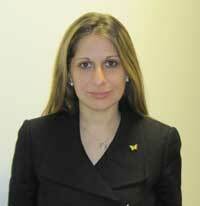 Her current focus is on Business Development for Crisis Guidebooks of Montclair, NJ. Shelley serves on the national Public Affairs Staff of the United States Coast Guard Auxiliary as well as on their operations team as qualified boat crew and vessel examiner. Shelley is a Team Leader and member of the Planning Exercises & Evaluations Team for Suffolk County NY-CERT (Community Emergency Response Team). She is certified by Noah’s Wish in Animal Shelter Operations with L.I. Pet Safe Coalition. Shelley is a deep technical mixed-gas professional scuba diver who served 16 years as North Atlantic boat crew for wreck diving charters. She is also an alumni member of the National Ski Patrol. Shelley is a graduate of Mercy College and lives on Long Island. Back for a return visit is Stephen A. Lindner, Lieutenant Hackensack Fire Department 24 year veteran and Public Information Officer. Hackensack is the county seat of Bergen County New Jersey. Stephen will be giving us prevention tips. Richard Goldberg and Fernando Alonso, Assembly candidates in the New Jersey 38th Legislative District, come on the show to discuss preparedness in government and the impact of this past weekend's snow storm in October on their district. Jessica Seepersad is an experienced Business Continuity and Emergency Management consultant who has helped numerous federal and private sector clients develop and implement emergency management and continuity plans and strategies. Ms. Seepersad currently works for a.i. solution where she provides fulltime Emergency Management support services to the National Aeronautics and Space Administration (NASA), at its Headquarters in Washington, DC. Her technical expertise includes full lifecycle Business Continuity Management including risk assessments, business impact analysis and continuity plan development. She also has extensive experience helping organizations develop and implement Training, Testing and Exercise (TTE) programs and has helped her customers through several Eagle Horizon federal exercises. From 2007-2009 she was also an integral member of the BDA Global Training/Exercise Team and helped deliver industry training and exercises/simulations throughout the Caribbean and Latin America. In 2010, Ms. Seepersad was part of a team awarded the NASA Civil Service/Contractor Team for exceptional leadership and technical contributions to the NASA HQ Eagle Horizon participation. Ms. Seepersad is currently serving her second year as President of the Association of Contingency Planners (ACP), Washington, DC Chapter and previously served as the chapter’s Vice President of Membership. Ms. Seepersad is certified by the Disaster Recovery Institute International (DRII) as a Certified Business Continuity Professional (CBCP). 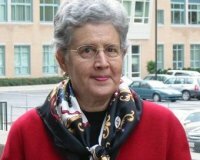 She also holds an undergraduate degree from Georgetown University’s School of Foreign Service and a Masters degree from The London School of Economics (LSE). Ms. Seepersad speaks Russian and French. Paul Cordts River Edge Council President, discusses PSE&G's response to the recent hurricane Irene storm. Chris Greene joins us to talk about 10 years after the national Anthrax scare. Miles Maiden, CEO and inventor of SteriPEN http://www.steripen.com/ SteriPen is a small device that takes 90 seconds to purify water. It weighs next to nothing, fits easily inside a shoe and uses the same process to kill bacteria. You simply push a button, stick the flashlight-sized device in your water bottle and stir it around for a long minute and the water is safe to drink. A must for any Prepper. Fire Prevention Month guest Stephen A. Lindner, Lieutenant Hackensack Fire Department 24 year veteran and Public Information Officer. Hackensack is the county seat of Bergen County New Jersey. Stephen will be giving us prevention tips. Mike Thomson heads ImpactWeather’s client services and business continuity programs and is past Chairman/CEO of the national Association of Contingency Planners (ACP) and President of the South Texas Chapter (http://www.acp-international.com). As a seasoned 30-year veteran in the crisis management field, Mike managed successful corporate responses to 9/11, the Northeast power outage, the postal anthrax threat and Hurricane Isabel, Ike and Dolly. A former head of business continuity at a Top 100 law firm, he has managed the consulting teams helping to build the business continuity programs at several Fortune 500 corporations including Sysco, Devon Energy and Newfield Exploration. A retired colonel, 28-year US Air Force veteran and member of the Energy Security Council (ESC), Mike also serves on two national committees on US business preparedness standards and practices. Mike joined ImpactWeather in 2009 to create their ImpactReady division. His business unit helps clients integrate ImpactWeather services and products into their contingency planning, emergency response and crisis management efforts (www.impactweather.com). Knut Henning Haug, First Responder from Oslo Norway. We will be discussing what its like at the firehouse in Norway, first responder issues, the Oslo shootings, and other international preparedness and recovery issues. Its National Preparedness Month in Norway too. 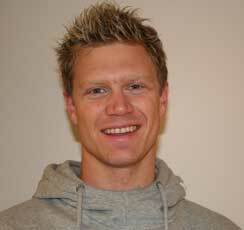 Knut is 29 years old, lives in Norway and has been a full time professional firefighter since 2006. Knut works just outside Oslo in Lørenskog. Knut started out working in the ambulance service in 2005 and has been doing that as a part time job in addition to his firefighting and also an instructor in first aid and basic fire related training. Knut went to New York in to participate in the World Police and Firegames 2011, and competed in the event called Toughest Competitor Alive. Geoff Turner has been a Certified Business Continuity Professional (CBCP) since 1997 and a computer professional since 1980. While employed by a large company, he developed plans for branch offices in the U.S. and Canada. In August of 2008, he became a full time independent business continuity consultant and formed Tech Valley Continuity LLC (http://TechValleyContinuity.com). TVC was organized to provide BC / DR services to small and medium sized businesses. Geoff also works with NYS Government agencies. TVC’s mission is to help turn potential disasters into an annoyance®. Geoff has seen his plans successfully implemented for a facility fire, black outs and most recently Hurricane Irene. During the H1N1 pandemic, he worked with residential care facilities to train and assist them in their planning process. Jeremy Gruber from Fire station 1 8131 Georgia Ave. Silver springs, MD and Rescue One, specializing in providing a full array of safety training and product solutions to organizations and individuals. With over 13 years of experience, we provide CPR, AED, First-Aid, ACLS, PALS, OSHA, Pet CPR, Bloodborne Pathogen, First Responder, and Fire Extinguisher Training, and are a Top 20 distributor of Automated External Defibrillators (AEDs). Gerry Giesinger from Service Master recounts the 9/11 experience at the Pentagon. The Pentagon called ServiceMaster Clean at 11:30 a.m. on the 11th. The ServiceMaster Recovery Management staff, dedicated to catastrophic disaster mitigation and restoration, was on the move by noon, and was at the Pentagon on September 12th. At 8:30 a.m. that day, a crew of 50 ServiceMaster Clean technicians mustered in the Pentagon's western parking lot. Supplies and people from ServiceMaster Clean local offices were mobilizing up and down the East Coast and as far away as Michigan. Terry Winters: currently the Private Sector Liaison for Federal Emergency Management Agency in the New York and New Jersey region. In this new position Terry is responsible for coordinating with local and state emergency management offices preparing the private sector for disasters. Meteorologist, Steve Pellittierie of Ion Weather has been on the Radio since 1975. As the lead Ion Weather morning "weather caster" Steve's professionally clear sound, is and has been a reassuring voice for "what the weather will be" for millions of listeners in the top markets of the northeastern United States. to discuss Irene's impact here in NJ. Chris Greene from The National Ready Corporation joins us to give his perspective onthe Washington DC earthquake and government reaction. Chris with Frank Cilento and John Gramendi. 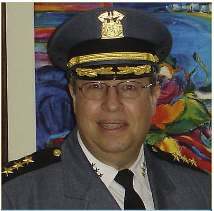 Frank Cilento former Police lieutenant at NJ Bergen County Prosecutor's Office will be discussing preventative child safety and current events regarding child safety. Also, John Gramendi with information on the Ham Radio operators function in emergency preparedness and recovery. Paul Sebring of MMRC Global back from South America and giving an in studio update on MMRC's most recent mission in. Storm chasing with Gerry Giesinger from Service Master. Christopher Greene from The National Ready Corporation joins us to give his perspective on Oslo and a look back to September 11th. Andy Weitzberg, President of the Long Island Chapter of the Association of Contingency Planners discusses IT business contingencis. In the wake of the Oslo bombing and shooting disaster DRH brings back our violence expert Felix Nater. Also joining us is Gerry Giesinger from Service Master. Joe Aiello Director of Program Development, at CEAS. The Corporate Emergency Access System, or CEAS, was developed to help address this new set of realities. CEAS is a pre-event credentialing program that allows critical business employees to gain access to restricted areas following a disaster or serious emergency by using a secure identification card recognized by the police. Chris welcomed Katie McKenna web producer from PTV and Nicolas Jolliet field Director, Videographer & Blogger, Inside Disaster.com. Director, Cinematographer, Editor & Composer, Inside the Haiti Earthquake. Jim Arnott and Brian Loberg of the World Association of Natural Disaster Awareness & Assistance. Live tsunami report from Japan Bryan Loberg aid worker in Japan. Fund raising for EARTHQUAKES HURRICANES TSUNAMIS VOLCANO'S EXTREME WEATHER TORNADOES CYCLONES FLOODS & LANDSLIDES WILDFIRES & BUSHFIRES http://www.wandaa.org Live update from Paul Sebring Haiti update. 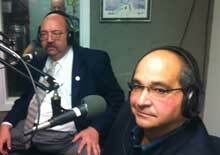 Host Chris Plunkett with Rick Gimbl, the Town of Islip Director of Emergency Management. 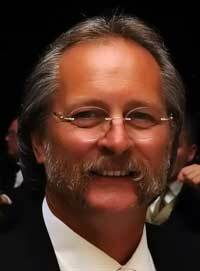 Rick Gimbl has over 41 years experience in emergency response. He is currently the Director of Emergency Management for Town of Islip. He works with the departments within the Town Government and the local Fire and EMS emergency services. Call in from Felix Nater, Workplace Security expert from Nater Associates. Return guests Bryan Loberg WANDAA aid worker in Japan with his tsunami update, and Andy Weitzberg President of the Long Island Chapter of the Association of Contingency Planners. Extreme Behavioral Risk Management (XBRM), a division of AllSector Technology Group, Inc., is a Professional Services practice specializing in Business and Technology Resiliency including: business continuity management, disaster recovery, emergency management, homeland security services and workplace violence prevention and response. Our services help prepare and support an organization, its decision-makers and first responders by providing Professional Services, Training and Education and Threat Management Software. 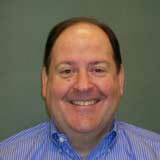 Steven M. Crimando, MA, BCETS, Steve has more than 20 years experience in disaster planning, consulting and training. Steven is Managing Director of Extreme Behavioral Risk Management. He is a clinician and educator specialized in crisis intervention, disaster recovery, and traumatic event response. He has been conferred the status of Diplomate of the American Academy of Experts in Traumatic Stress and is a Board Certified Expert in Traumatic Stress. He also holds Level III Certification in Homeland Security through the American College of Forensic Examiners International, where he serves as the Vice Chairman for the Division of Forensic Counseling. He is a member of the FBI’s InfraGuard program and serves as a consultant and trainer for the U.S. Department of Justice, Federal Emergency Management Agency and United Nations. He has served as faculty member at the Rutgers University Center for Management Development and Fairleigh Dickinson University graduate program in Management of Organizational Behavioral. Since 1990, Claire B. Rubin & Associates, a small firm located in the Washington, D.C. area, has specialized in research and consulting in the fields of emergency management and homeland security. The firm serves clients in the public, private, and non-profit sectors. Claire talks with us about emergency response, disasters, and how we cope with them today. Gerry Geisinger from Service Master Memphis TN discusses the flooding in the Southeast and Felix P. Nater, President of Nater Associates, Ltd. a Certified Security Consultant, discusses contingency planning for the workplace. Gerry Giesinger Gerry is from Service Master corporate headquarters in Memphis, TN and will be discussing the recent floods in Memphis. Mike Gianchetta and Christopher Greene from The National Ready Corporation who's program partners provide "All Hazard Emergency Management - Training - Products - Process and Programs" to the Military, Public Safety, Corporate and private sectors of the globe. Tuesday May 3rd,Host Chris Plunket with Andy Weitzberg President of the Long Island Chapter of the Association of Contingency Planners and Harvey Betan from ACP-international.com. Tuesday April 26th, Are you prepared? 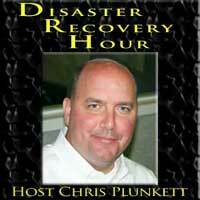 Chris Plunkett talks with Paul Faust from 1800prepare.com about the need for preparedness in the home today. The show has information on various prep kits. Tuesday April 12th, Earthquakes, Tsunami, and preparedness. Chris speaks with Paul Faust from 800Prepared.com about emergency kits and go bags. Find out how you can be prepared. Tuesday April 5th, Springtime Preparedness. How to prepare for the spring season. Routine checks around your house to insure safety and preparedness. Chris answers questions from the audience. Tuesday March 29th, Chris interviews Paul Waggoner. 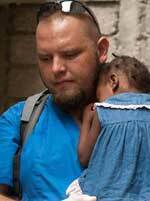 Paul's objective is providing logistical support to medical teams on the ground now in Haiti. After Paul's release from prison in Haiti and brief return to the US, Paul is headed back to the action in Haiti and is giving us the story. Sunday March 6th, Chris welcomes Paul Sebring on MMRC update and Financial Preparedness advisor Bart J. Tarulli discussing protecting yourself financially on the job. 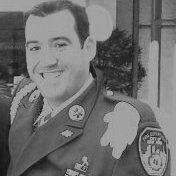 Sunday February, 20th, 2011 Chris has special guest Daniel Del Valle editor of Nj Corrections Now magazine and NJCorrections.com Daniel speaks about how the law enforcement system impacts each of us in terms of disasters and preparedness. Sunday February, 6th, 2011 Chris focuses on workplace violence with Felix Nater trusted advisor who assist organizations provide for safe & secure workplaces through situational awareness and preparedness. Sunday January, 30th, 2011 Chris speaks Chris Talks with Mike Venetis from The Prep Room. The Prep Room is committed to increasing the level of emergency preparedness in all Americans. From our smartly-designed survival kits, which include emergency food, water, communication devices, shelter, lighting, first-aid, sanitation and other emergency supplies to our vast line of products designed to help you customize your emergency preparedness kits to fit your needs, we have everything you need to become better prepared and protected the next time disaster strikes. 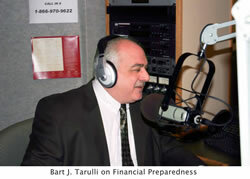 Sunday January, 23rd, 2011 Chris speaks with DRH's Financial Preparedness expert Bart J. Tarulli, Ameriprise Financial Planner and Paul Faust from 1800-Prepared about common sense preparedness. Saturday January, 15, 2011 Chris speaks with Emergency Response Expert Gisli Olafsson, Emergency Response Director at the Nethope organization about disasters and emergency rescue internationally. More infromation about Gisli here. Saturday, January 8th, show Chris will do an in studio interview with Big Paul (Sebring) and Little Paul (Waggoner) on LP's release from Haiti prison.A must hear for any aid workers. Saturday, January 1st, 2011, Chris interviews Paul Sebring. Chris has a Skype update from Haiti with Paul Sebring of MMRC Global on the events leading up to Paul Waggoner's release from prison. December 25th, Chris has a Skype update from Haiti with Paul Sebring of MMRC Global on the Pasul Waggoner issue. Also, Nick Morici from the NJ Office of Emergency Management with winter and holiday advisory. Paul Faust from 1800Prepare.com on emergency kits and preparedness in the new year. December 18th, Financial Disaster preparedness and recovery. Chris hosts Bart Tarulli Ameriprise Financial Advisor discussing the basics of financial preparedness. Chris' other guest Michael Gidro, Esq., discusses financial restoration post financial disaster. December 11th, Preparedness Supplies and equipment. Chris Talks with Mike Venetis from The Prep Room. The Prep Room is committed to increasing the level of emergency preparedness in all Americans. From our smartly-designed survival kits, which include emergency food, water, communication devices, shelter, lighting, first-aid, sanitation and other emergency supplies to our vast line of products designed to help you customize your emergency preparedness kits to fit your needs, we have everything you need to become better prepared and protected the next time disaster strikes. November 20th, Focus- Haiti Disaster Update: Chris' guests Tim Falconer, Founder of The Waveplace Foundation returns to the show to give an update after returning from Haiti. Joined by Nanci Murdock, Director of MMRC Global, also giving fresh updates from the Pauls now in Haiti. November 13th, Focus- Disaster Prevention in Health. Chris' guest Archie Roberts, MD Founder of The Living Heart Foundation dedicated to health education, screening, database creation, outcomes reporting and wellness program development. In practice, LHF delivers a unique brand of education and health features to diverse communities in need. October 30th, 2010 Education After Disaster Strikes. Chris's guest Tim Falconer, Founder of The Waveplace Foundation joins the show for an interview about his educational program utilizing One Laptop per Child's hardware for his innovative educational platform. 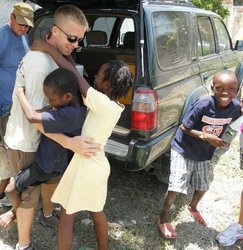 Tim's program has been running in Haiti since the disaster. October 21st, On the Ground in Haiti 2010 Chris talks with Materials Management Relief Corps' Paul Sebring (aka Big Paul) and Paul Waggoner (aka Little Paul). Their objective is providing logistical support to medical teams on the ground now in Haiti. They have been working with amazing groups such as, IMC (International Medical Corps. ), PIH (Partners in Health), PID (Partners in Development), Medishare, MSF France, MSF Spain, Duke University, LEAP, Haitian Red Cross, German Red Cross, Humedica, and DRI (Direct Relief International). October 16th, 2010 Chris talks with Chief Mark Fedorchak of Westwood fire department and Dan O'Brien Captain of Emerson volunteer fire department both in New Jersey. They discuss important prevention tips for homes and businesses. October 9th, 2010 Chris talks with Dan O'Brien Captain of a NJ volunteer Fire Department. They discuss important prevention tips for homes and businesses. The Disaster Recovery Hour will focus on fire prevention this week and next week. September 18th, 2010 Chris’ guest Kevin Tiedemann from Premiere Drying Solutions Ronkonkoma, NY. Kevin and Chris talk about what can be done to lower the chances of having to face water problems. Kevin explains some things everyone should know when it comes to water damage. Kevin can be reached at kt@smcleanny.org. Saturday August 7th.Guest is Dave Fenyohazi, President of Fabric Renewal discusses how to deal with fabric restoration after a flood, fire or mold has damaged your property.